Celebrate Christmas at Disneyland, a special Disneyland holiday from mid November to early January each year (November 9 2018 through January 8 2019). Enjoy the holiday parade, watch the Believe in Holiday Magic fireworks, see the Nightmare before Christmas, and enjoy the beautifully lit Cinderella's castle and much more as part of this special holiday season. 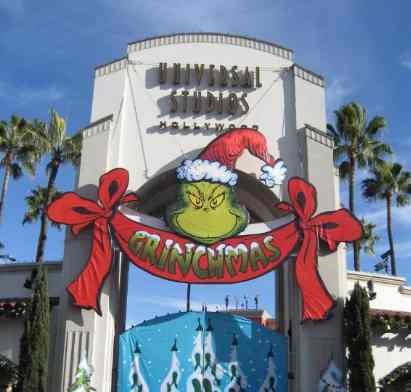 This year continues the new Disney Festival of Holidays at Disney California Adventure theme park. It's a Small World Holiday - The timeless attraction of the children of the world dressed in holiday costumes. Crystallized Sleeping Beauty's Winter Castle - See the beautiful castle light up during the evening, with icicles and even snow in Southern California. 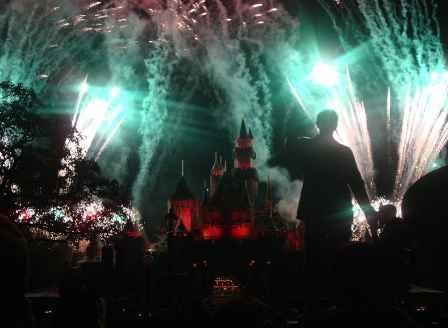 Disneyland Fireworks Show - View the evening fireworks show and snow falls during your stay. Best viewing spots include near Sleeping Beauty's Castle, It's a Small World, and New Orleans Square. Haunted Mansion Holiday - Experience the The Nightmare Before Christmas, Disneyland style. Jack Skellington and his scary crew give Disney's Haunted Mansion a Christmas makeover. World of Color Winter Dreams - See the new Season of Light nighttime show at Disney California Adventure theme park. A Frozen Sing-Along Celebration and Olaf's Snow Fest - Disney California Adventure offers a winter wonderland and musical celebration. Disneyland Christmas Parade Watch one of the famous Disneyland parades, A Christmas Fantasy Parade, with your favorite characters and of course, Santa Claus himself in his sleigh. Main Street USA Decorations - See the Christmas tree and decorations in Main Street USA, and more holiday decorations throughout the park. New Disney Festival of Holidays- Celebrate the new Disney Festival of Holidays with special food and cultural traditions from around the world. Held at the California Adventure park. 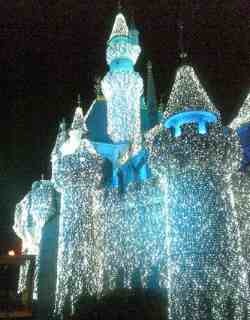 Yes, Disneyland is open on Christmas, and every day during the year. 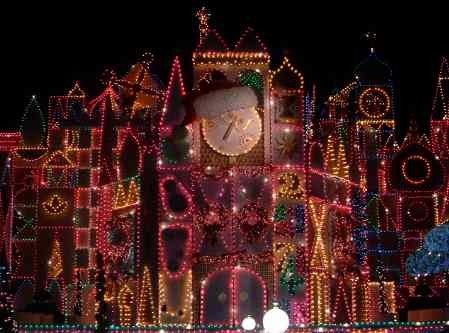 During the winter holidays from mid December - early January, Disneyland usually opens at 8:00 or 9:00 AM and closes at midnight (except on New Years Eve Disneyland stays open until 2:00 AM New Years day). Disney California Adventure is usually open from 8:00 or 9:00 AM and closing times vary from 8:00 PM to 11:00 PM. These are just general hours and may vary. For more information on Disneyland California hours, and a link to the daily schedule, see Disneyland Anaheim Hours. Please note that spending Christmas at Disneyland is quite popular, and tickets may be sold out at the gate during the week before and after Christmas. Disneyland holiday season lasts from mid November to early January (exact dates vary each year and are typically published in October). If you can, take advantage of the cheaper ticket prices and smaller crowds in early January (e.g. Los Angeles City Pass or online specials.